Kidney’s are incredibly important organs for both humans and dogs and I’ve already written a post on compromised kidneys and how diet can greatly improve the quality of life for any dog suffering from kidney problems. 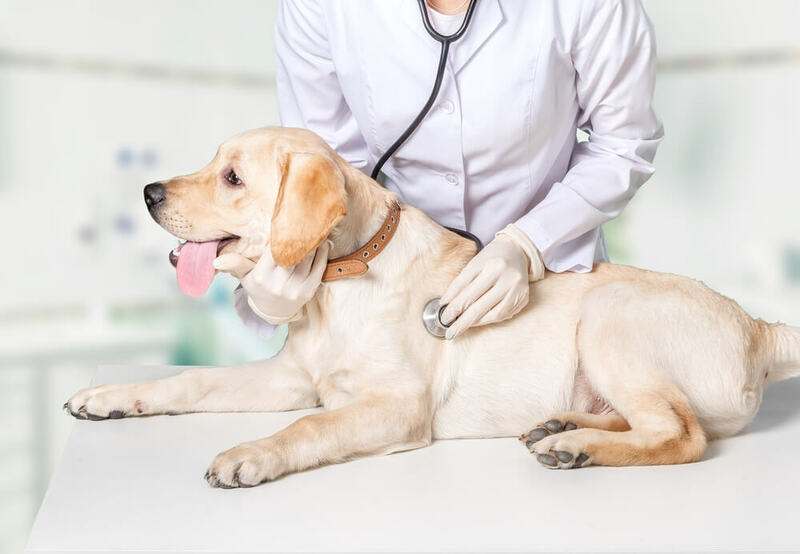 However, since that post IDEXX Laboratories – the leading company of in-house analyzers for small pets in the UK, has launched a new test called ‘symmetric dimethylarginine’ or SDMA for short. This new test promises to detect kidney disease earlier and will eventually be included with standard blood chemistry tests. By the time standard blood test results specific to kidney disease alert us to a problem, about 50% – 75% of kidney function has already been lost. On average, this new SDMA test promises to identifies kidney disease when only 40% of function has been lost and, in some cases, 25% of function. This is incredibly important because kidney disease is often permanent and progressive so the earlier you can find out if your dog has a problem the quicker you can intervene and the more likely you will be to slow deterioration and maintain a higher quality of life for your dog. Currently the most common blood tests that alert us of possible kidney problems are Creatinine and BUN (also called blood urea nitrogen). If these are elevated, further investigation is warranted. Usually this includes running a urine culture, urinalysis, protein:creatine ratio, check for infectious diseases, etc. What makes the new SDMA test so useful is that it can detect reduced kidney function when creatinine, BUN and urine specific gravity are all still normal. The question becomes, what do you do if you discover that your dog has elevated SDMA but other test are within normal range or indicate mild kidney dysfunction? While I am not a vet, IMO starting your dog on a prescription renal diets based solely on this test is not warranted. The main goal if your dog has kidney problems, or suspected kidney problems is to reduce phosphorus in their diet. The degree of phosphorus restriction depends on how advanced the kidney disease is. But to give you an indication, a healthy dog requires 100mg of phosphorus per kg of body weights to the power of 0.75 per day. For very early-stage kidney disease I start by using 70-80% of that number and will reduce further as creatinine levels increase. For comparison purposes, most regular commercial diets have around 1.5% phosphorus on a dry matter (DM) basis. A dog with early stage kidney disease should be limited to around 0.6% phosphorus on a dry matter basis. These numbers must be reduced further for dogs with moderate stage kidney disease. Dogs with advanced, late-stage kidney disease need even lower phosphorus: around 0.3% DM daily. Prescription renal diets have around 0.3% DM phosphorus. Thus they are designed for dogs with late-stage kidney disease and are inappropriate for dogs with early stage disease. Common sense alone tells us that finding disease as early as possible is always preferable to finding it late. Early diagnosis can increase the likelihood of successful intervention. On the other hand, nobody can say if this translates to increased longevity for your dog but I imagine we should be able to see if the SDMA test does indeed change the outcome, over time. However, in the meantime consider putting your dog on a home prepared diet that support early stage kidney disease and takes your dog’s age, activity level and any other health issues into account. This diet should be lower in phosphorus and also consider the importance of vitamin D. Don’t feed plant-based oils as these may worsen renal damage, omega-3 fatty acids in fish body oil (not cod liver oil) are also important as they have been found to slow the progression of kidney disease. Adding B-Complex supplements to your home prepared diet will also ensure your dog has enough of these vital vitamins (B-Complex vitamins are water soluble so they are easily flushed through your dog’s body due to increased drinking and urinating). Finally antioxidants such as Vitamin E and CoQ10 can help to promote overall health. This entry was posted in Blog and tagged dog, dog diet, kidney diet, SDMA kidney test.